The Docklands south of the Thames aren’t derelict! 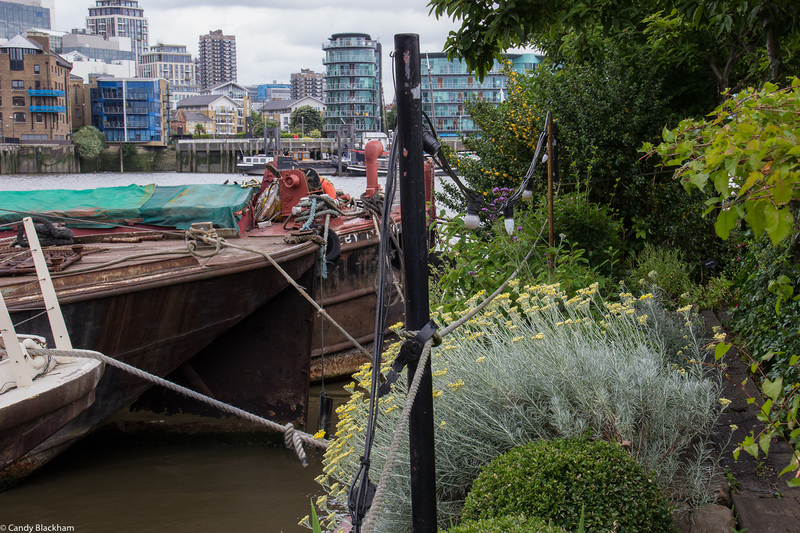 This historically important part of the Thames is home to some very imaginative conservation and regeneration projects – do venture south and east of the river and visit during Open Garden Squares Weekend. 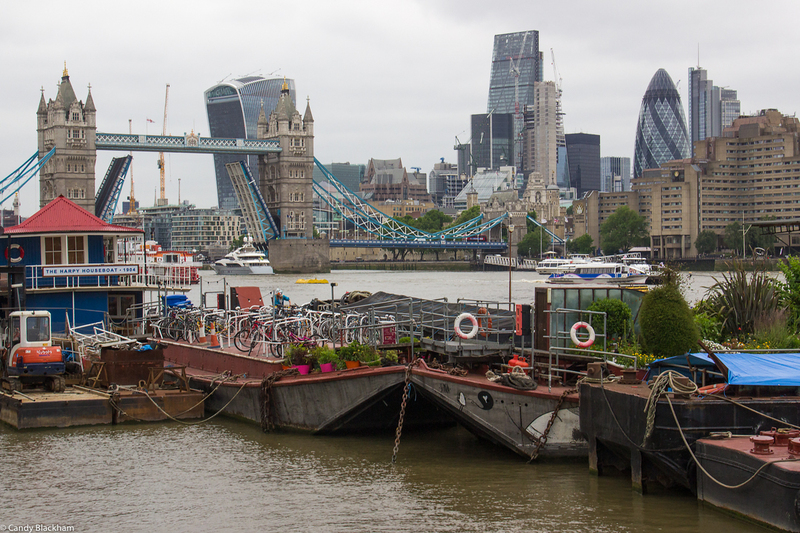 There are some fascinating sites south of the Thames, in the former Surrey Commercial Docks and near Tower Bridge and they will be open during this weekend, 17 & 18 June! 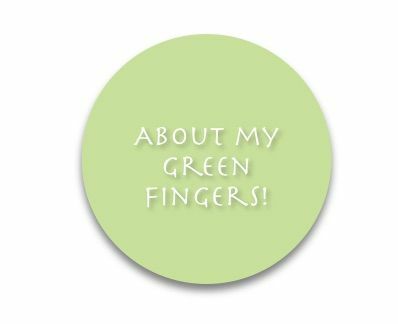 Check the Guidebook (if you already have a ticket) or the website to be sure which gardens are open on your chosen day. Woodland walking alongside the Thames? Yes! The Stave Hill Ecology Park and the Russia Docks Woods have been created in the former Surrey Commercial Docks, which you can still trace on the ground. 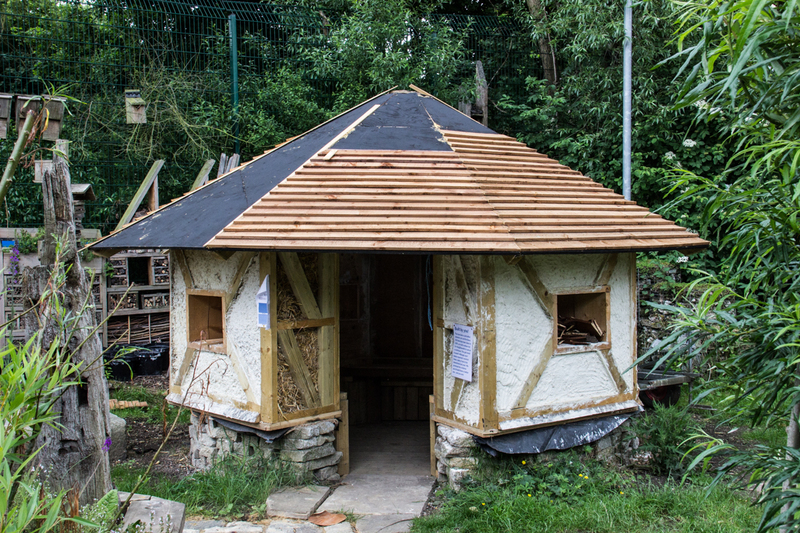 The Shed is the management and information centre for the Park and full of ideas for conservation, recycling, and protection of wildlife. And this lovely little straw bale house will be newly painted by the weekend. Lavender Pond is just a short walk away from The Shed. 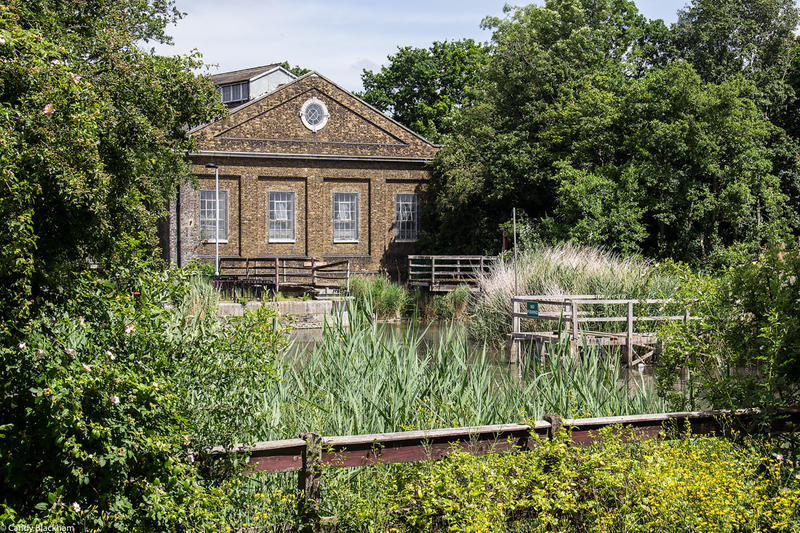 The Pumphouse and the pond are reminders of the former Surrey Commercial Docks, now converted into a nature reserve with a hidden woodland area and another pond hiding behind the reed beds. Sit here and watch the ducks, enjoy the quiet, and just relax a little. 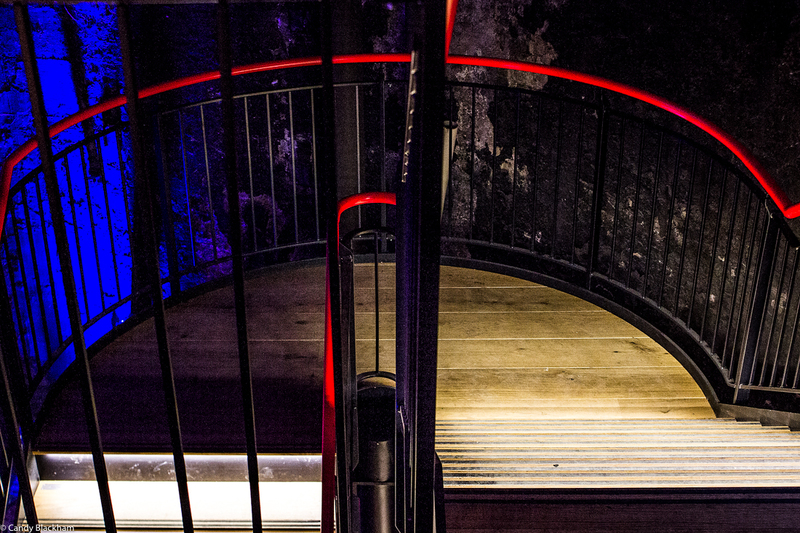 The Brunel Museum celebrates the extraordinary Brunel family and is based in the pumphouse and shaft of the first tunnel built under the Thames. The Midnight Apothecary will serve you cocktails if you time your visit carefully – check the museum site for opening times – and you might be able to linger longer for a performance in the shaft theatre! Continue your walk along the Thames to the Garden Barges, or take the DLR from Canada Water to Bermondsey and find these unique homes and gardens – you won’t regret the journey!